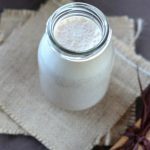 This creamy, delicious cinnamon toast dessert smoothie is chock full of healthy nourishing ingredients. Life is just too short to skip dessert! As 2015 draws to an end I want to take time out to reflect. From day one my mission for starting this blog has been to prove that eating healthy is NOT boring and that it is indeed possible to enjoy delicious food on a healthy diet. It’s been almost one year into blogging and I sure hope that my recipes have been a reflection of this mission. 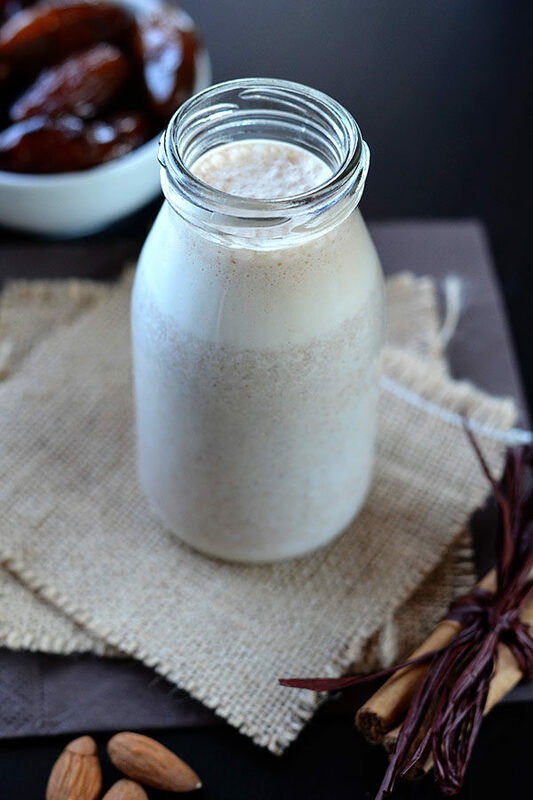 Today I’m sharing the Cinnamon Toast Dessert Smoothie recipe from the Vibrant Life Cleanse Program and Cookbook. As we enter the new year I know lots of people are looking for a new start. I began 2015 with a cleanse. It was a remarkable experience and a key turning point for my health. Once my body ‘reset’ I was no longer plagued by numerous cravings. My energy levels were up, my skin condition improved, I could go on forever about the benefits. If you’ve contemplated doing a cleanse but not really sure how to go about it I highly recommend Vibrant Life Cleanse Program and Cookbook. This program takes all the guess work out of cleansing correctly. What to drink, what to eat, when to do it is all included. I chose to share a dessert smoothie recipe from the cookbook to show you just how dynamic this program is. I’m pretty sure you’re thinking by now that a juice cleanse = days on end chugging down copious amounts of slimy green beverages which taste like grass. That imagery could not be further from the truth. 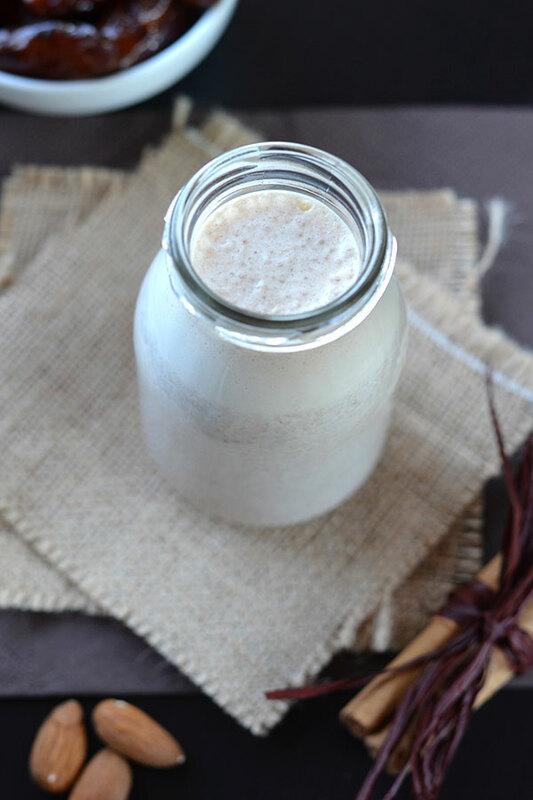 Cinnamon Toast Dessert Smoothie – Nourishing and Delicious! 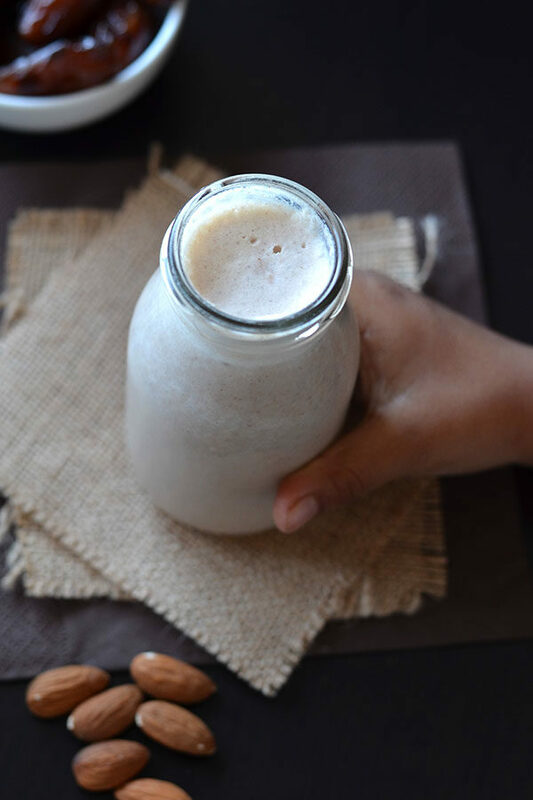 Let’s talk about this Cinnamon Toast Dessert Smoothie for a minute. Just because you’re on a cleanse doesn’t mean you should have to skip dessert. I mean that would just be cruel..;) The Vibrant Life Cleanse Program and Cookbook gives you a choice of 8 delicious dessert smoothies. My favourite is this Cinnamon Toast Dessert Smoothie. The ingredients appeal to me on so many levels. 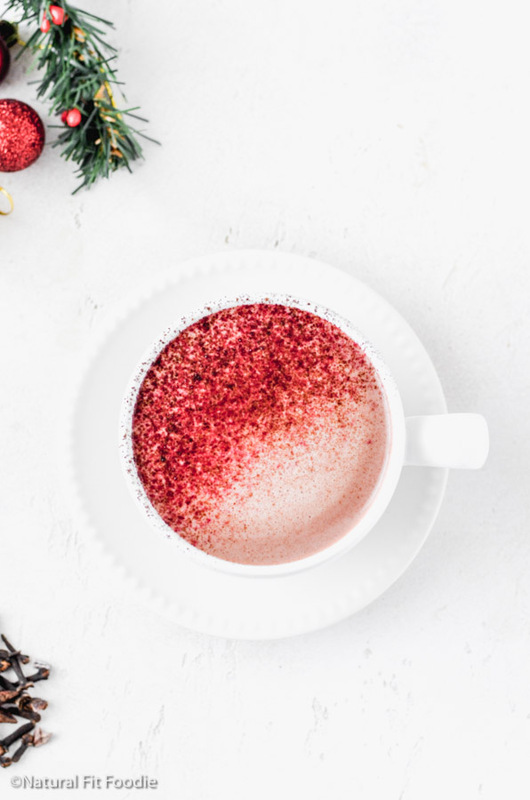 Cinnamon – I sprinkle cinnamon on just about everything! Fruit salads, porridge, pancakes, coffee you name it. Coconut Oil – Hello!! Ya’ll know how I feel about coconut oil by now. If not just check out my Coconut Oil Coffee and Soaked Coconut Oil Oatmeal recipes. 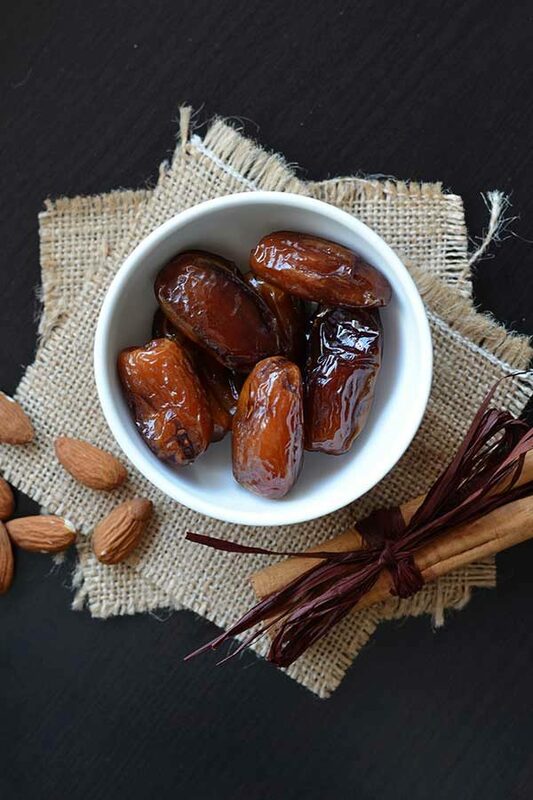 Dates – Nature’s perfect sweetener. I have also read that women who consume 6 dates per day in the last 4 weeks of pregnancy were significantly more dilated and likely to have a shorter first phase of labor. This pregnant mama will take all the help she can get! Okie dokie are you ready to do this? Grab a glass and get ready to take better care of yourself. Honor what your body actually wants, and discover what healthy really feels like. Guess what my little one also loves this smoothie! If you’re feeling really crazy, you can amp up the nutrients by adding 2 cups of spinach or a kale leaf or two. It won't be very cinnamon toast looking, but it’ll taste the same! Blend on high for 1 minute, or until smooth. Transfer to a glass and serve immediately. Beautifully done! Thanks so much for sharing my program and taking such GORGEOUS PICTURES! Yum 😉 Happy 2016! Thank you Leanne!! Everyone should experience the benefits of a cleanse and you make that so easy!! Wishing you a happy healthy new year!!! Hope you’ll like it Alysia! Need to try this! Looks delicious Krystal! 🙂 And your photos are beautiful! This smoothie looks and sounds amazing! What a great nourishing dessert! I have to agree Bethany! 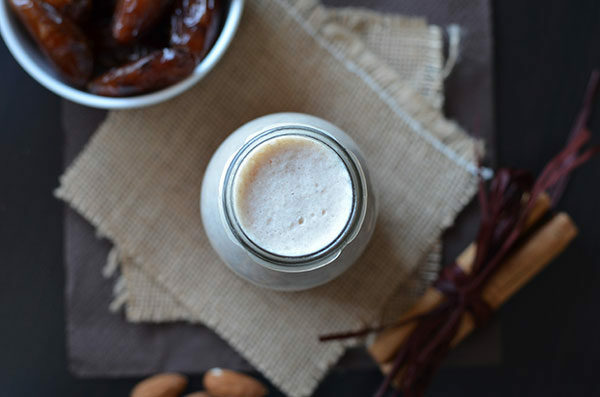 Dates in smoothies are so great, especially with a hit of cinnamon! Yummers! Breakfast, snack, dessert, I would gladly devour this anytime. I’m with you on that one Cara! Thanks for sharing Sarah ?? I love smoothies! This looks great! Raia this one is right up your alley ? Where did you find your cute mini glass milk bottles? Hello Lora. I live in Spain and got these at a local home goods store named Casa. I’ve found this set on Amazon which looks the same http://amzn.to/1QlG8ma. This smoothie is so delicious! I’m drinking it now for a late breakfast and am completely in love. I substituted macadamia instead of almonds, and unsweetened grated coconut instead of oil. Plus added maca. It tastes like a milkshake, I have to keep reminding myself it’s healthy! Lena I’m so happy to hear that you’re enjoying this Cinnamon Toast Dessert Smoothie, it’s quite a treat isn’t it!